Getting the party started with these 4 bridal shower games will be a delight for the guests. 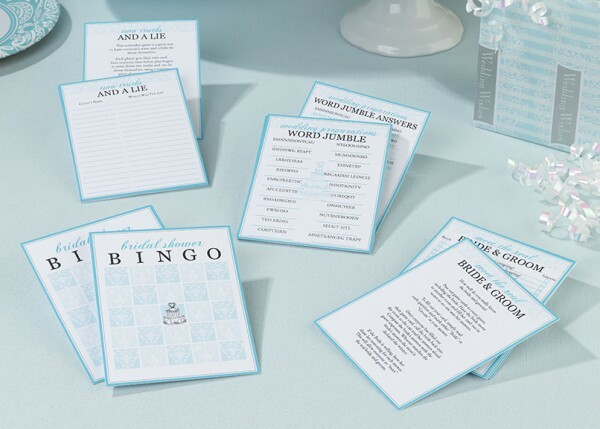 This kit includes 15 game cards for each of the following 4 games: Bridal Shower Bingo, Two Truths and a Lie, Word Jumble and Bride & Groom. All cards are in English only.